A: I am married with 3 kids, and currently reside in Ashburn, Virginia. I was raised in Southeast PA and attended college in Central PA. Upon graduation from Bucknell University, I moved to Northern Virginia, where I have now spent the past 16 years. I worked for over a decade with a business consulting firm before electing to become a stay at home mom and enjoy life with my husband and kids. Things I love: the color yellow; warm apple crisp served over vanilla ice cream; laughing with friends; pinterest; fresh clean sheets on a bed; beautiful flowers; planning birthday parties for my kiddos; a good book; a nice cold glass of white wine; and some sand between my toes. A: I’ve known my husband, Pete, since I was 13 years old. I spent my childhood summers joining my best friend Michelle on her beach vacations with her extended family. Pete was always someone I knew as her cousin. The summer after college, Michelle and I both ended up at the beach after our 4th of July plans fell through, and Pete was there too. We all hung out together that weekend, and before Pete left to return home, he asked his aunt for my phone number. The frenzy of gossip ensued and left me in a panic when I heard he would be calling to ask me out. I had known this family for years and the thought of an awkward date had me nervous. I took the advice of my mom, who said, “Just go on a date with him. It’s not like you are going to marry the guy.” And well, here we are 12 years into a marriage and 3 kids later. Ha! A: I have three great kids who I adore. Natalie is my oldest at 10. She is smart, well mannered, sensitive, responsible, athletic and a wonderful big sister, not to mention my best helper! She adores soccer, running, art, and all things puppy related! 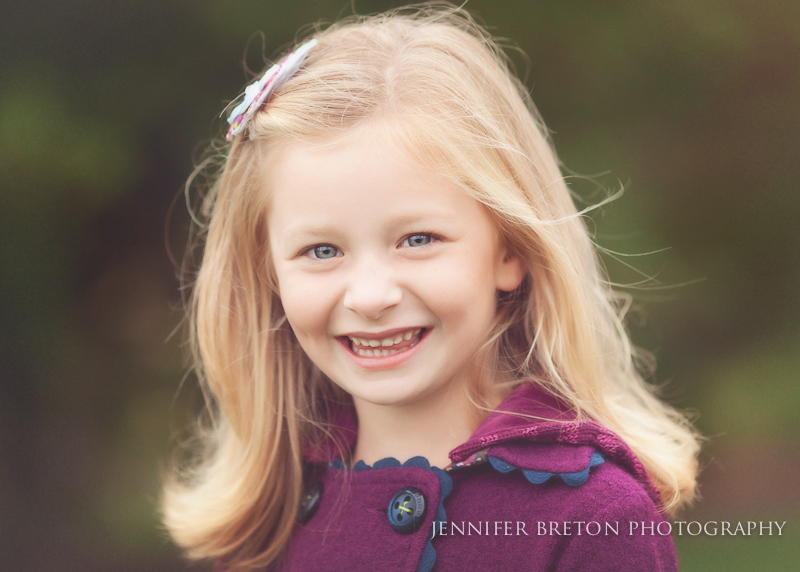 Caitlyn (Catie) is next at almost 6, and she is my little spitfire! She is loving, quirky, vibrant, and funny (and knows it!). She is the girl who you can dress up but can always be found running with the boys, getting dirty, and otherwise ending each day with a new bruise and a hot mess of a hairdo! 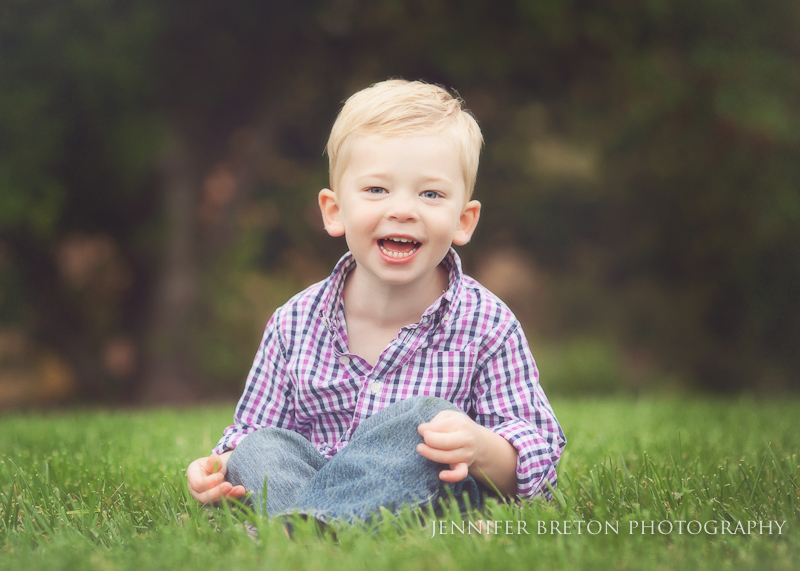 Brendan just turned 3 and he is my favorite little buddy. After two sweet girls, he is ALL boy. He can’t sit still for two seconds, loves anything that involves a ball, is usually sweaty, and is always looking for something to eat. He is my cuddliest of the 3 kids and I love that! I am on a mission to keep him a momma’s boy! A: This is my first season as a TK. I was introduced to the brand through my photographer, who had recommended the clothes for pictures. I stumbled upon a trunk show at a local boutique and was hooked from there on out. It was that TK’s last season with the company, and I knew I had to track down another one. Luckily, Ashley C. had just moved to the Virginia area from Kentucky and I could continue to get my MJC fix. Three years later, I talked with her about joining the company and here I am! It’s been a great experience selling MJC in the Northern VA area with her! A: Oh, I have lots! Nothing makes me happier than when my kids ask, “Can we do that again?” or say, “Do you remember the time…. ?” I hope that they have lots of great memories of growing up and will pass along our family traditions with their own families when the time comes. Traditions that often come with the holidays are always special (Our Thankful Tree, 12 Day of Giving, Christmas Eve dinner with family and friends, annual summer trips to the beach); but I also cherish the simple or silly traditions we try to instill in our kids, like eating a meal together and sharing the details of our day, or impromptu dance parties on a Wednesday night that has all of us showing off our best dance moves! A: That are characteristics of many people in my life that I admire. So many of them come from family members who have passed along important values and habits. My 90 year old grandma is probably one of the most influential people to me. She raised a family of 8 children while working nights as a nurse. There was always food on the table, daily prayers, clean clothes, and a happy husband and kids. She is kind, faithful, positive, loving, and independent. I am so grateful that she is in my life and that I have gotten to have a relationship with her as an adult, wife, and mother myself. I cherish the time we do get to spend together and enjoy corresponding with her via cards and letters we send to one another in the mail. I know that my grandmother’s actions have trickled down through the generations and have helped shape so many family members to be the people they are today. A: I would have to say Princess Diana. She was beautiful, intriguing, charitable, and fiercely protective of those she loved. I would love to sit down over a bottle of wine and talk family life and community service with her! If we could do so at Buckingham Palace and happen to meet Prince William, Kate, and their new son…bonus! A: I love seeing my kids come home from school. They are happy to discuss their days and what they learned, and I realize how much I miss them when they are gone. A: I have been blessed with so many great teachers and coaches in my life, so I could easily choose from any one of them. My answer is going to sound odd, but I remember the coach who was less than nice – the one whose negativity brought me and so many of my teammates down. He pushed me to prove him wrong. His negativity drove my desire to work harder and be better, and as a result, I believe I was. It has also been what drives me to steer my own kids toward teachers and coaches who are truly all about building knowledge and skills with positivity and encouragement. A: Hmmm…I watch very little TV, but if I had to choose, I would say ‘Parenthood’ because it captures the everyday quaintness of normal family life. And, it’s ultimately about one big family (immediate and extended) being there for each other through life’s laughter and tears. I am beyond blessed to have this type of family in my own life. A: Nothing better than a freshly bathed baby… I wish I could bottle it up! A: Definitely my bed. I love the rare weekend when all the kids can wake up and one by one come in and snuggle with us for a bit before our day gets started. A: Well, as my enrolling TK can attest, I love me some big ruffles (for kiddos and mommas alike)! So, I love the Monet Big Ruffles and Young Wheat Big Ruffles…but that Hawthorne Rose Jacket is stunning and hard to beat! Ohhh fresh bathed baby! I hold mine and breathe in that precious smell every night!! Thanks for sharing!!!! I would have to agree that nothing smells better than a freshly bathed baby :)! What a beautiful family! 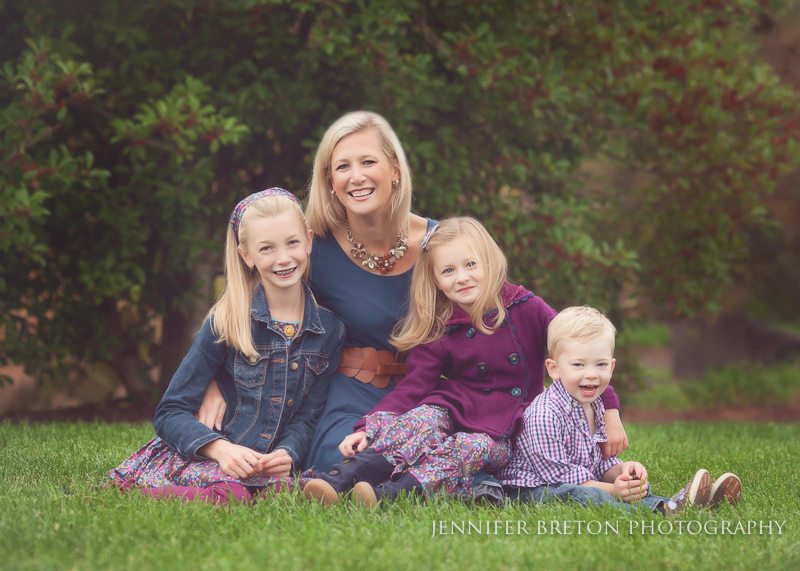 I love the colors you chose for the photos and awesome memories with your three small children! It wouldn’t be mornings around here if they weren’t crazy :-). Thank you for helping to share MJC with us, so that even during morning chaos, my girls still look good. Lol. Our mornings are crazy too. Thank goodness I finally got a pair of ruffles. They work great for moms with no time! !